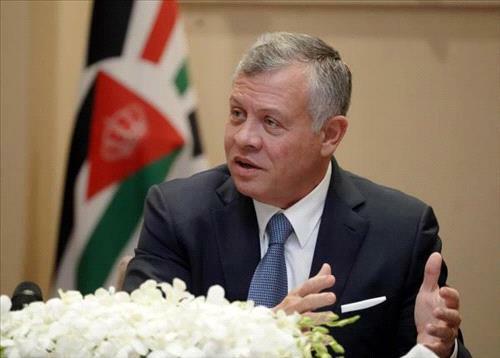 AMMONNEWS - His Majesty King Abdullah on Sunday stressed that the united and vigilant Jordanian people will not be affected by agendas seeking to question Jordan, its institutions, future, and security. "We as Jordanians must stand united in the face of those agendas," King Abdullah said during a meeting with political and media figures at Al Husseiniya Palace. "We know these attempts increase in the summer, so I must intervene to reassure all citizens," the King said. "It is obvious that these are organised efforts by parties with clear agendas, working behind their screens to make citizens doubt the institutions and decisions of their country, while stoking fear in its future and security. This is, unfortunately, nothing new," His Majesty added.